The First clinic in the UK to have the brand new PicoWay Resolve Laser for advanced skin pigmentation Laser treatment. Skin Pigmentation Price List. 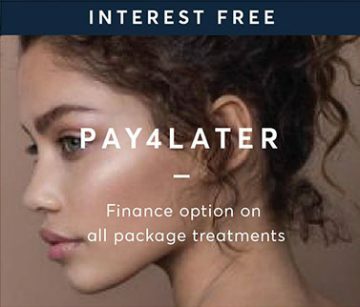 Payment plans options - 0 % Interest free. Free Consultations & Patch Tests. If you are finding yourself not happy with the condition of your skin, then it may be affecting how you feel about yourself, your choice in clothes, your confidence and many other aspects of your life. If you have found that skin pigmentation has built up and you want to get rid of these marks or lesions for good, then the PicoSure / PicoWay Resolve laser is perfect. It can tackle and eradicate those skin pigmentations or pigmented lesions in a fast and effective way. Skin pigmentation refers to darker patches on your skin. Special cells called melanocytes generate colour using melanin, this is what gives skin colour. People with albinism have almost none, very dark-skinned people have a lot and there all of the variations in between. If these cells become unhealthy or damaged it can affect melanin production. This can affect your whole body or just little parts of your skin. If that occurs, then those parts of your skin become skin pigmentations or pigmented lesions. Certain factors which can cause skin pigmentation or pigmented lesions to manifest are injuries, burns, infections, inflammation, drugs, hormones and sunlight. Skin pigmentations or lesions manifest in various ways, such as freckles, age-spots, sun-spots, liver-spots, and melasma. None of these conditions are dangerous or contagious but they can be unsightly and from an aesthetic medicinal point of view something that can be tackled, to help you improve your confidence and appearance. Laser skin pigmentation removal works by firing ultrashort (picosecond – one trillionth of a second) pulses into the pigmented area. These pulses actually shatter the melanin in these lesions into very minute particles, which the body then eliminates using its natural processes. Thereby diminishing or eradicated these pigmented lesions for good. During your treatment the laser light is targeted at the area of unwanted pigmentation. The laser then fires in ultrashort (picosecond – one trillionth of a second) pulses. These pulses actually shatter the melanin in your skin into very minute particles which the body then eliminates using its natural processes. Yes, before engaging in a full treatment you should always have a consultation and patch test. The consultation is vital for you to share any medical data that could be a factor in your treatment and get any questions you have answered. The patch test, is a small trial use of the laser on your skin to check for any adverse reactions. Here at Pulse Light Clinic both the consultation and patch test are offered free of charge. Are there any side-effects to the PicoWay Resolve treatment? Immediately following the treatment you may have some redness for a few hours but this will rapidly diminish. Certain patients may experience a temporary discolouration around the treated area but this will typically resolve over the next few month back to the natural skin colouring. Generally no, any pain is very minimal, though this will vary from person to person due to the difference in sensitivity of each person’s skin. How many treatments should I need with the PicoWay Resolve laser? This varies from person to person depending on certain factors. Mostly it depends on the size, location and depth of the lesion being treated. It can be as little as one treatment or up to several to achieve optimum results. The area of your skin treated may remain red for up to a few hours. It is recommended that over the next few days you do not scrub or exfoliate the area. If you notice any darker skin peeling/falling off in the area treated, don’t worry it is a good thing as the old affected skin is being removed.